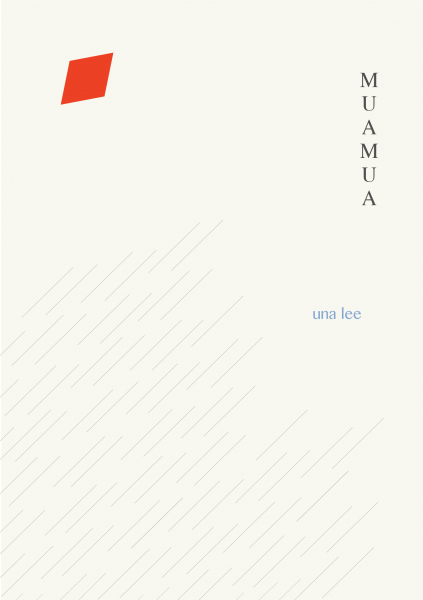 This is a series of graphic works by Una Lee which are created based on her sound performance piece called MUAMUA. The work is a graphic notation in itself, but at the same time a performance on pages and documentation of a past event. Texts that were used in the performance piece now form parts of the illustrations alongside abstract shapes that symbolise the performer, musical motifs, narratives and stage props. It is an attempt to approach the medium ‘book’ as a base to explore passing of time as well as an enquiry into retrospective translation and abstraction of visual elements from a live sound performance.